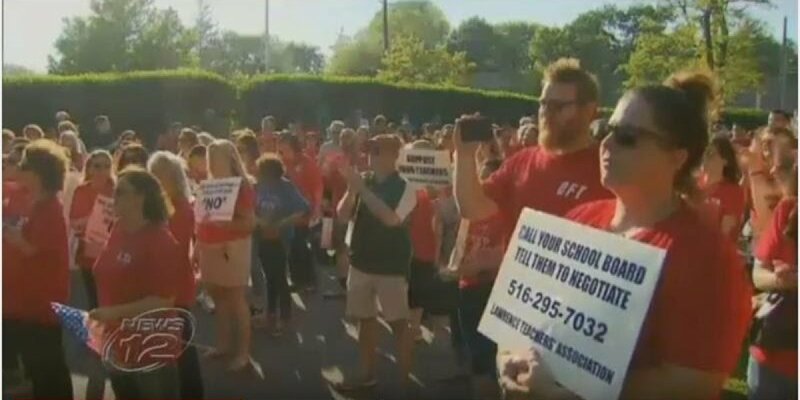 Teachers in the Lawrence School District held a march and rally on November 15 calling on the school board to restart negotiations with the union. The local has been without a contract for the last 7 years. This is the longest current time that a local union has been without a contract in New York. Members of the Lawrence Teachers Association were joined by parents from the district. Click here to watch coverage from News 12.